The land where Kenwood is situated, known initially as Caen Wood, was owned by the Monastic orders around the 13th century. The earliest documents dealing with the Kenwood area date from 1226, when a William de Blemont granted his lands in “Kentistun” in the parish of St Pancras to the Priory of Holy Trinity, Aldgate, confirmed by royal charter of Henry III the following year. The estate covered what is now Kenwood and Parliament Hill, and was known as the Bishop of London’s park (or Hornsey Park). In 1525 the estate was divided into two parts: the southern part covering Parliament Hill, and Canewode Feildes. The Canewode land passed through several hands, eventually being bought by John Bill, the King’s printer, in 1616. John built the first house on the site, in red brick painted white. His son inherited it in 1665 but had to lease off the house due to financial problems, and he sold it in 1690 for £3,400. The house was already huge, with 24 hearths recorded in the 1665 Hearth Tax assessment (yes, that was a thing). The estate changed hands a lot again in the early 18th Century, belonging to a London merchant called John Walter, and to William 4th Earl of Berkeley, before it was sold to the Duke of Argyll in 1712. He transferred it three years later to his brother and brother-in-law, the Earls of Islay and Bute. They sold the house in 1720 to a William Dale, and upholsterer, but he went broke and mortgaged it back to the Earl of Islay. He added the Kenwood Lime Avenue, in 1726. It passed to the 3rd Earl of Bute in 1746, who added the Orangery as a greenhouse for his beloved exotic plans. The 3rd Earl of Bute then sold Kenwood to William Murray, Lord Mansfield, in 1754. 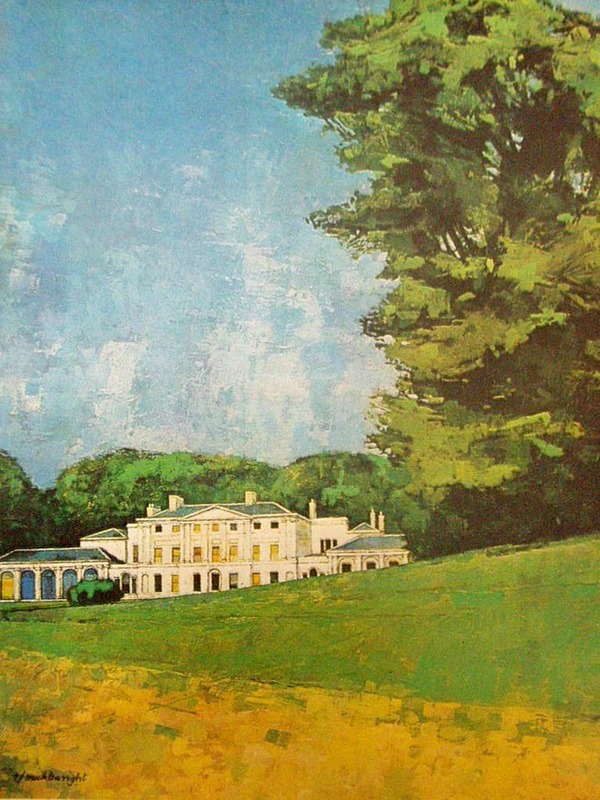 Lord Mansfield expanded the estate, landscaped the grounds and turned it into the Kenwood Estate we recognise today. As Lord Mansfield gained wealth and status – he was Lord Chief Justice for 32 years from 1756, and became the 1st Earl of Mansfield in 1776 – he commissioned the Scottish neoclassical architect Robert Adam and his brother James to remodel the house, from 1764 to 1779. Earl Mansfield and his wife were childless but their niece, Anne Murray, and two great-nieces, Elizabeth Murray and ‘Dido’ Elizabeth Belle, lived with them at Kenwood. 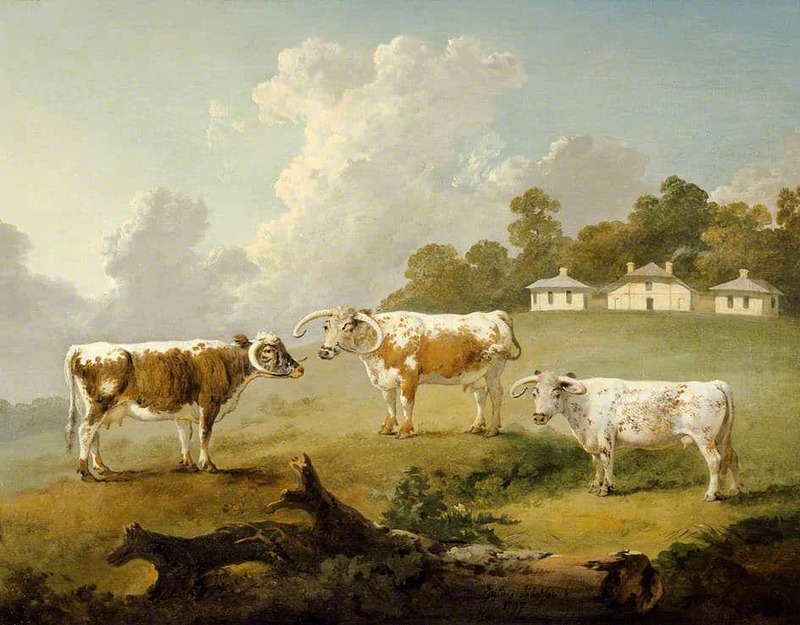 They also kept a small herd of Warwickshire Longhorns in the Old Dairy and Farmhouse, which Dido tended to. Earl Mansfield made important changes to the legal system in England, including several rulings that played a role in the abolition of slavery, which some attribute to the influence of Dido. Dido Belle was the illegitimate daughter of Mansfield’s nephew Sir John Lindsay and Maria Belle, an enslaved African woman in the then British West Indies, where he was stationed. Little is known of Belle’s life, but we do know that she was brought up at Kenwood as a free gentlewoman, and a film - Belle - inspired by her was released in 2013. Following gendered norms of the time, the Earl of Mansfield bequeathed the estate to his nephew David Murray, who became the 2nd Earl of Mansfield, when he died in 1793 rather than to his niece Anne who had lived there with him, but Dido and (especially) Elizabeth received substantial inheritance. Kenwood was reshaped by the 2nd Earl in the early 1790s, and completed by the 3rd Earl. 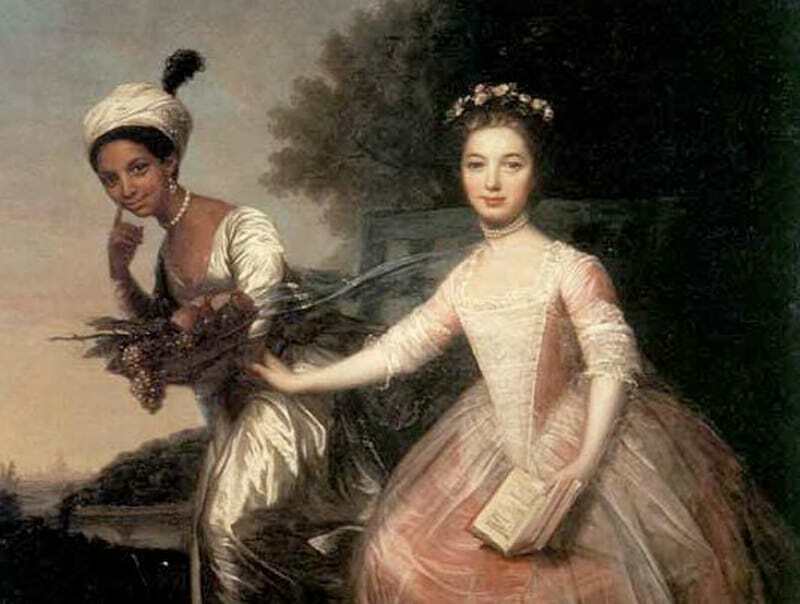 Dido Belle with her cousin, Lady Elizabeth Murray, thought to have been painted in 1779, artist unknown. The painting was extremely unusual for its time, when the slave trade was at its height, because it shows a black woman and a white woman as near equals. 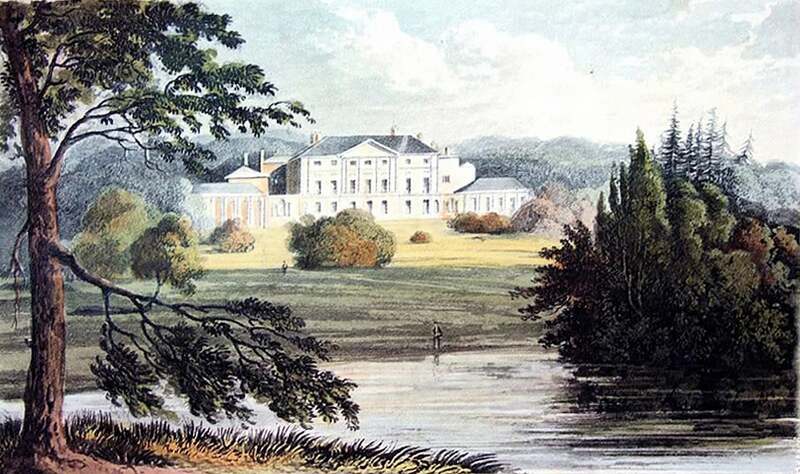 The 2nd Earl added North Wood, in the northern part of the estate, in 1793. The southern part of the Wood, below Prospect Hill, is all that remains of ancient woodland, which is still an important habitat for rare species despite having suffered badly from a vigorous ‘spring clean’ in the 1970s and the 1987 storm which brought down more than 100 mature trees in Kenwood and North Wood. King William IV visited Kenwood in 1835, with Queen Adelaide, the Duke of Cambridge and the Duke of Wellington. The Mansfields gave a ‘strawberry feast’ and several hundred well-wishers gathered, playing music and decorating the route with flowers, lambs and tree branches. It was a big deal because there hadn’t been a royal visit to Hampstead since 1694 when Queen Mary, wife of William III, passed through the village. Over the years the Kenwood estate grew. 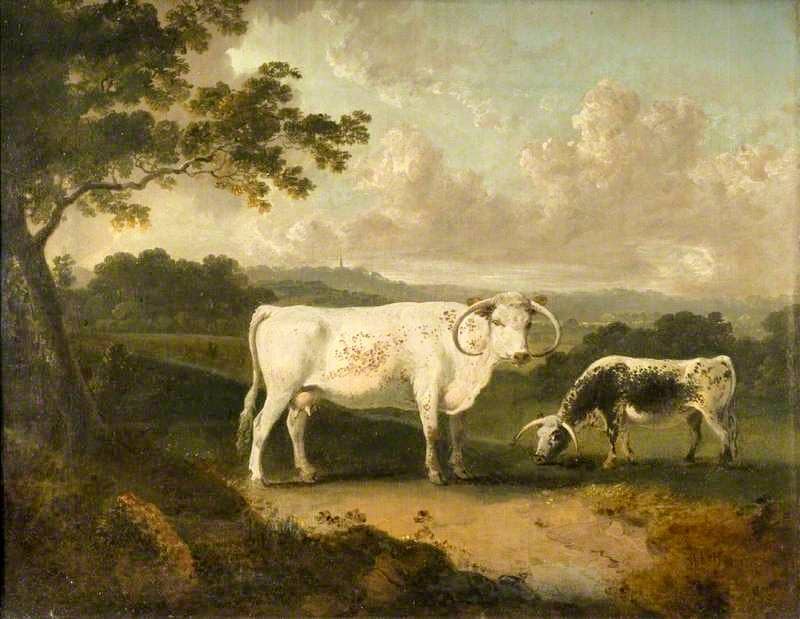 From 1789, the Mansfields bought land on the Kenwood boundary to add to the estate, which later became part of Hampstead Heath – namely Millfield Farm, Lord Erskine’s land, and the Fitzroy Park estate, sold by the Southampton family in 1840, which now forms the north eastern corner of the Heath. 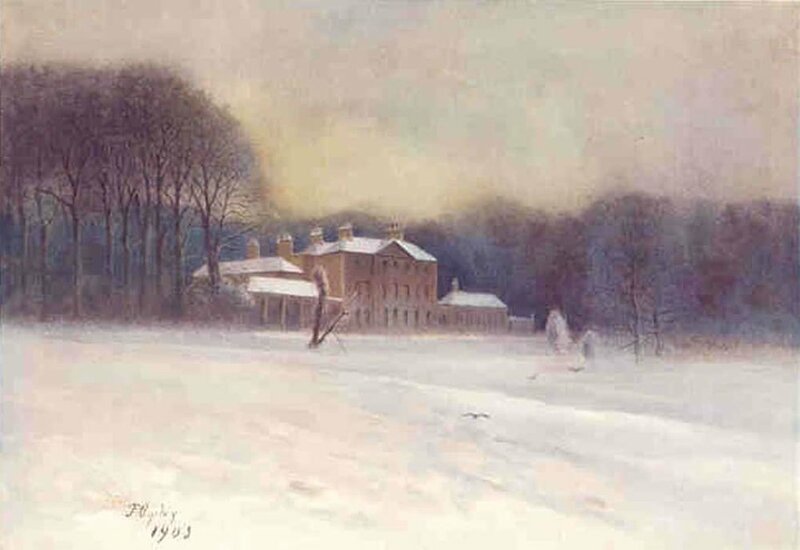 Kenwood stayed in Mansfield hands until the 6th Earl of Mansfield, Alan David Murray, sold it in 1914. From 1909 to 1917, in the last years of Mansfield ownership, Kenwood was rented by Grand Duke Michael Mikhailovich, the younger brother of Czar Nicholas II, the last Emperor of Russia. Turning Kenwood over to the public wasn’t straightforward. The Earl was more interested in his own profit than the public interest. 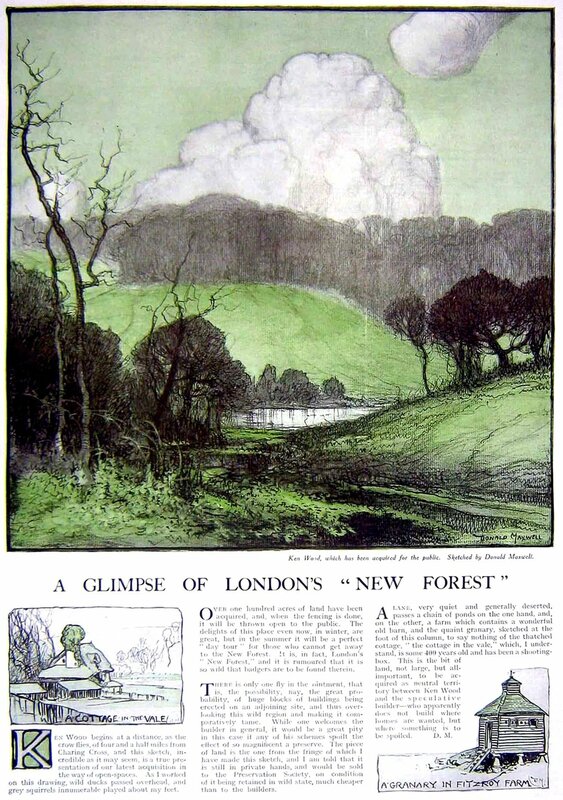 He sold the first 100 acres (the meadow south of the wood, and the fields on the Highgate side of Millfield Lane) in 1922 at £1350 per acre. Eventually he agreed to sell another 32 acres, including the woodland and two lakes, at £1000 per acre. These areas were opened to the public in 1925. Despite efforts by the Earl to sell off the contents of the house, the future of Kenwood itself and the acres immediately surrounding it was eventually secured thanks to Edward Cecil Guinness, 1st Earl of Iveagh and a wealthy businessman and public benefactor. 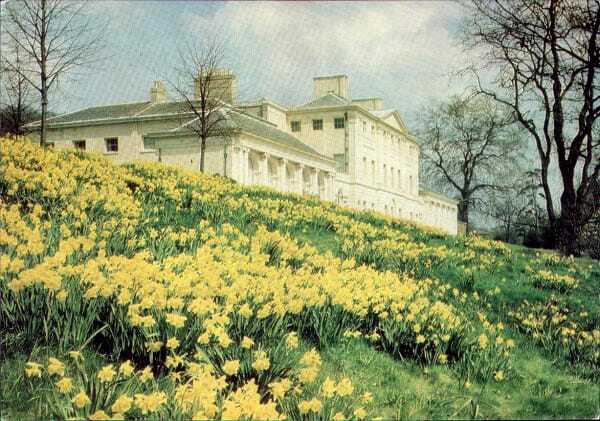 He bought Kenwood House and its remaining grounds in 1925 for £107,900, to house his collection of paintings. He arranged for Kenwood, including the paintings and surrounding park, to become public property upon his death. He died in 1927, and Kenwood House was opened to the public in 1928. The farmhouse is now privately owned, and for a few decades at the end of the 20th Century the Dairy was home to the groundsmen and their families. Kenwood is a Grade 1 listed building.